When it comes to choosing the best heating and cooling company in Adelaide , you need to take couple of steps back and do some research to authenticate the credibility of a particular company in providing quality and dedicated customer services. One of the most feasible methods is to approach neighbors or friends asking them to suggest a reliable contractor with whom they’ve experienced quality services in the past. It is important to check out whether or not the company offers different quality products, provides warranty of their services to customers and finishes works on the specified time. It is also important to ascertain if they offer you a payment plan or discounts that could make easy for you. While employees’ manners, dress codes, and vehicles they drive can also reflect professionalism and quality of services they provide, you still need vetting certain credentials to ensure the best services. Only ARCTICK licensed contractors are officially authorized to install Adelaide Heating and Air Conditioning Systems . So, it is crucial to make sure that the contractor is ARCTICK Licensed when choosing. If a worker happens to get injured while handling your heating and cooling unitsb, all expenses will be covered by the company if they are insured. So, while hiring an insured company, you will get a copy of worker compensation and liability coverage, ensuring you are fully protected. The trustworthy of a company is often based on the amount of time they’ve been in the profession. While deciding a reliable company, it is important to check out how long the company has been around. You need to vet company information carefully and find out quality of their services through previous customers. Also ensure that your HVAC Company is associated with other reputed business organizations like Daikin Air Conditioning. Considering the above basic factors will ensure you hire a reliable company. Learning the smart ways when choosing will not only relieve you from big headache but also save you hard dollars while dealing with your heating and cooling systems. Contact us at Bigfan Air Conditioning for Adelaide Heating and Cooling Systems Installation, Repair and Maintenance! 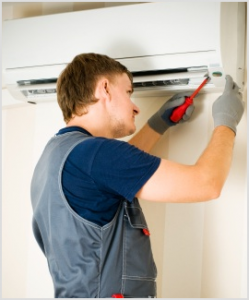 When looking for the best air conditioning company in Adelaide, you need to do some research in order to authenticate the credibility of a particular company in providing quality and dedicated customer services.